Announcing the $5,000 Love Fund Match! 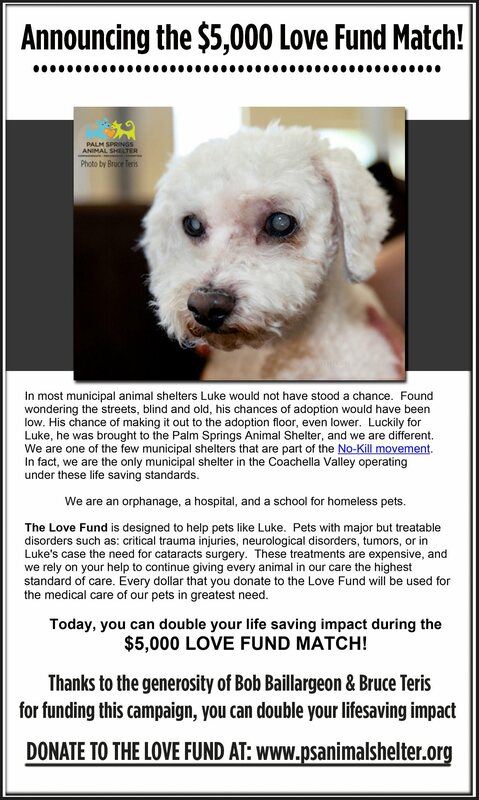 Thanks to the huge hearts and generosity of Bob Baillargeon and Bruce Teris for funding this match, you can help us save more animals like Luke! Double your donation today by clicking here!